I wanted to do a record all in French but I was afraid that I wasn’t at the level that I wanted to be with the language. So I wrestled with myself until I realized that the desire is there, and what better way of learning the language than through lyrics and through the process of doing this. So that’s how Seule ce soir came about. AM: You grew up in a musical family. How did that influence your choice of vocation? ECB: I think for me music was such an important part of my life, I didn’t even think of it as an important part of my life – it just was my life. I did take it for granted and I do even still to this day sometimes take it for granted. My mother’s a singer, my father’s a drummer and a percussionist, and I was surrounded by music growing up. AM: You did some professional work as a child. What was that like? ECB: I started singing on radio and television commercials when I was eight or nine years old. 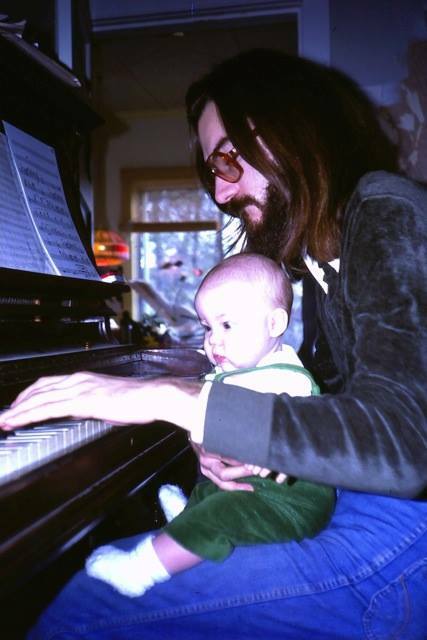 It evolved naturally from being in the studio while my mother was singing or my dad was playing. They knew I could sing in tune and I could learn things quickly. I also had an untrained sounding voice and I think that worked well for singing commercials, where advertisers wanted a kid that sounds like a kid, and not like a child whose voice is affected. AM: You were quite young when you produced your first album. What led up to that? ECB: I had decided after high school to go to Humber College to take the vocal program. There I met a bass player and arranger by the name of Shelly Berger. I was in his theory class and arranging class and it was a really “lightbulb moment,” to use Oprah’s phrase, because I realized then that was why I was there – to focus on musical theory and arranging. So I started to write some arrangements, and my dad said, “let’s put a band together and let’s play some of these.” He also is an arranger and was writing some. So we put a band together, which was an incredible band because it was the “who’s who” of the Toronto jazz musician scene. 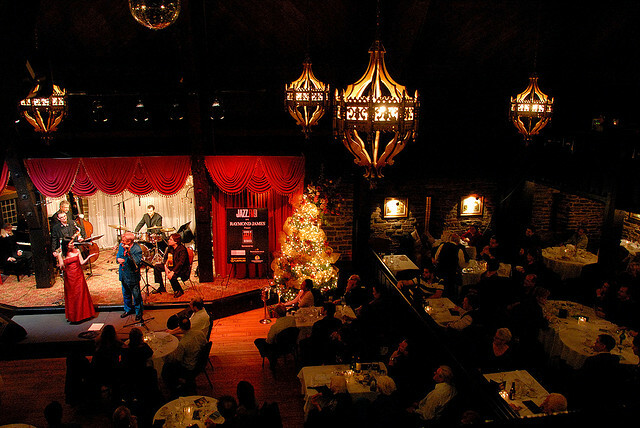 We started playing in a local club – the Montreal Bistro in Toronto, which is unfortunately not there anymore. The album was an evolution of playing live. It really just kind of snowballed from there. I did my first three albums with my dad and then I broke out on my own. AM: In selecting songs to feature on your albums, how do you choose from the vast repertoire of music available to you? Clear Day, the new album, is also a very specific story. The album is a journal of a four-year period in my life that started in 2011 in the summer and pretty much brings us up to present day. It was a period in my life where I had an opportunity to go to the Arctic on an icebreaker. That really prompted me to reflect on my life and the path I was on, and what I wanted out of this one life I have. It prompted some major life changes. There was the end of a marriage and all of the trauma that goes along with that – the roller coaster of emotions. And then there was the feeling of liberation and unknown and uncertainty and finding new love. The concept of the album was to create this narrative looking back on this story and decide what were the turning points along the way. I chose those and then set about finding a song that could score each of those moments. The idea was that I could choose from any style of music, any era of music. The most important thing was that I had to be able to tell the story through that song. So there’s also a tremendous amount of composition here, even though the songs are cover songs. The orchestration is written for a 70-piece orchestra. In some cases there were lyrics written where the songs were originally instrumental. I collaborated with Steve Webster, who has had a very long, successful career as an electric bass player, as a composer, as an arranger. It was a scary experience for me to learn how to share ideas that were unformed. We demoed everything. We had a microphone set up all the time and we would play around with ideas, and for the first time in my life I took an extended period of time to just go away and work on music. It was a wonderfully creative time. AM: And Steve is your boyfriend as well. ECB: He’s my boyfriend, yes. We fell in love and that was part of the wonder of the experience as well. Some of the very early sparks of ideas for the arrangements were while we were falling in love. And they made it on to the record. One of them is called, “I Don’t Know Where I Stand” and is about the very beginning of a relationship where you know there’s something’s happening but you’re not entirely sure how the other person feels. And there was a long distance element to it so it’s very autobiographical. 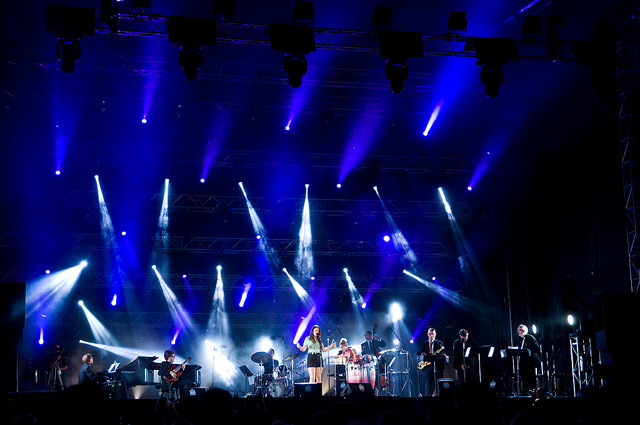 AM: You collaborated with the Metropole Orkest on Clear Day. How did this collaboration start? ECB: Steve had the idea to contact the Metropole Orkest. We wanted to use them because they are really well-established jazz orchestra and because they are very open musically. 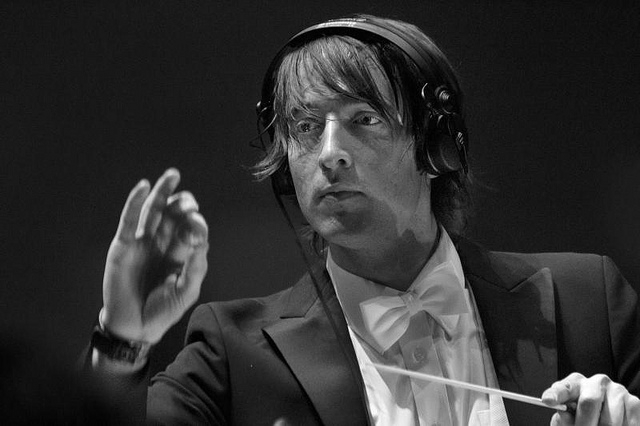 Their conductor, Jules Buckley, has a very inspired and eclectic batch of projects that he’s working on. They’ve got an incredible recording facility in Hilversum, which is just outside of Amsterdam. We went over there and recorded in this beautiful studio that can accommodate the whole orchestra, and we actually added almost 20 people. I’m going to be bringing Jules Buckley over from Europe to conduct the Massey Hall performance on February 10. 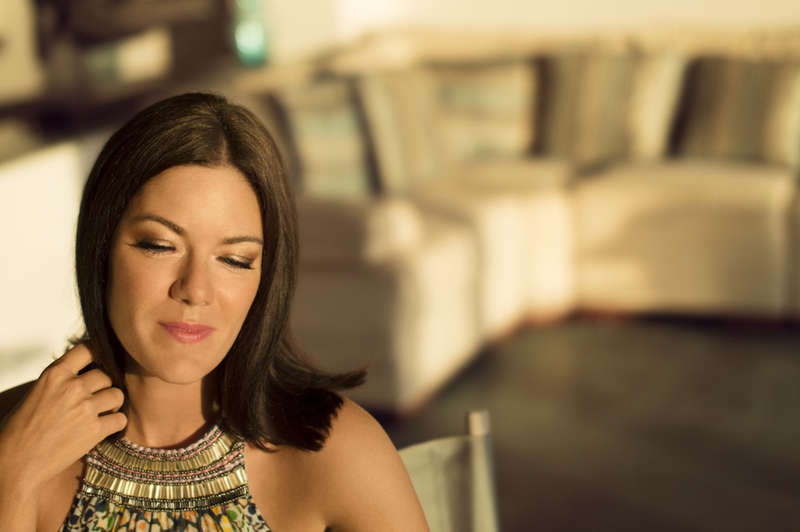 AM: What will you be singing at the NAC performance in Ottawa on December 18th? ECB: Being able to bring this show to orchestras across the country is a dream. And so we’re going to be bringing some material from Clear Day to the NAC. We are also going to have a nice healthy dose of holiday songs – Christmas songs. I released a record almost 10 years ago, Winter Wonderland. I took some of those arrangements and orchestrated them for this show. And I’ve also got a special guest, David Myles, who is a very talented singer, songwriter. He’s going to be doing some of his Christmas material and then he’s going to join me for a duet. And I’ve got a couple of my songs from earlier records in there as well. So it’s a nice mix. AM: You’re also a voice actor. 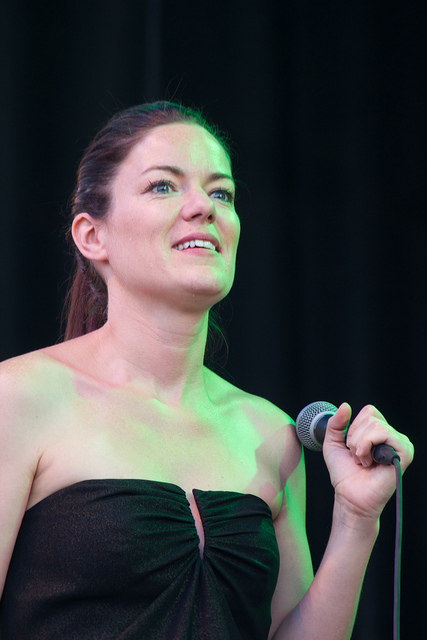 How do you divide your time between the singing, the arranging, the voice acting and the business side of what you do? ECB: Yesterday was an amazing day and it was a good example of how my life goes. I woke up really early and put a lot of makeup on, and I did an afternoon concert in Toronto at the First Canadian Place. Then I went to a studio and I had a two-hour voice session where I was doing the voice of a character called “Mermaid” on a kid’s show called Peg + Cat. It’s a really sweet animated show for little kids. it’s all about learning counting, shapes and colors, and it’s really well-written It actually won an Emmy last year. So I did that and then I raced off to a rehearsal with my band. It’s busy but it’s so wonderful. There’s a lot of administrative work to do, but it’s all about facilitating the music. A large portion of my job is creating opportunities for myself to do what I love to do best. I travel usually with a portable studio and I do a lot of work remotely as well. I’ve worked on other people’s albums that way. They send me the track, I’ll sing on it and send it back. I’ll do voice work that way too. If they’re open to doing it, then I can record myself wherever I am. The car is actually a really good recording environment. AM: You have released an album called Live in Tokyo. Do you have a particular connection with Japan? ECB: I started going there almost 10 years ago when I released my Christmas album. And I’ve been going usually about once every year and a half or two years. We’re actually heading back there at the end of January. 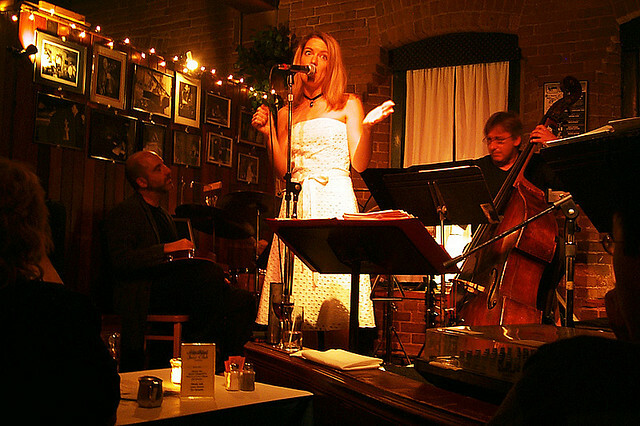 There are wonderful audiences there who really have a strong appreciation for music – for jazz, bossa nova. There’s an openness there musically. We usually go and play at the Cotton Club in Tokyo. As a band, it’s a luxury to play in the same place for some nights in a row, because that doesn’t happen very often. And it’s a really great opportunity to develop chemistry between band mates and for the material to really evolve. And to be able to travel with people who I consider my friends, making music. It’s a really wonderful thing. 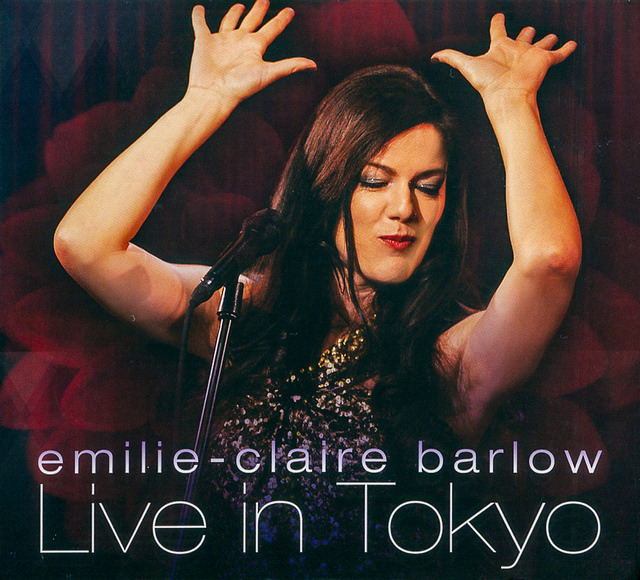 Emilie-Claire Barlow will be performing at the National Arts Centre in Ottawa on December 18, 2015; Tokyo’s Cotton Club on January 22-24; Toronto’s Massey Hall on February 10; and in various locations in Quebec in February 2016. 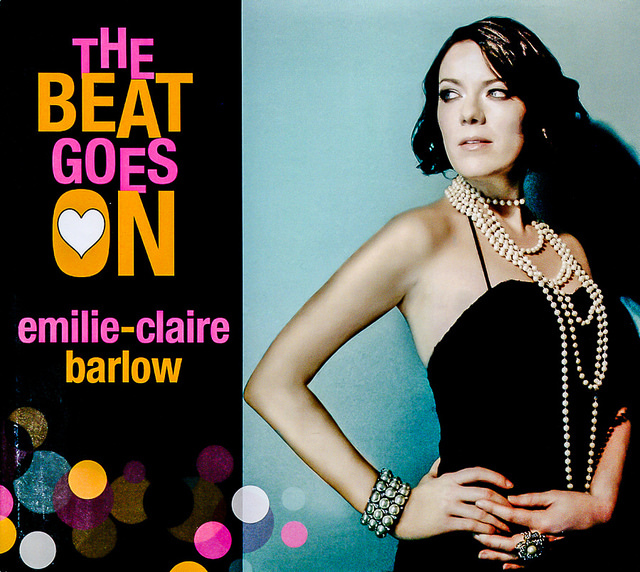 For more information about her music, please visit emilieclairebarlow.com. This entry was posted in MUSIC and tagged Brian Barlow, Canadian jazz singer, Clear Day, entrevista, in depth interview, Interview with Emilie Claire Barlow, jazz singer, Jules Buckley, Metropole Orkest, Montreal Bistro, Montreal Jazz Festival, NAC Ottawa, National Arts Centre Ottawa, Peg Cat, Seule ce soir, Shelly Berger, Steve Webster bass, The beat goes on, Toronto jazz singer, Toronto singer, Winter Wonderland. Bookmark the permalink.